Sunday Evening Videos: More New Aquabats! 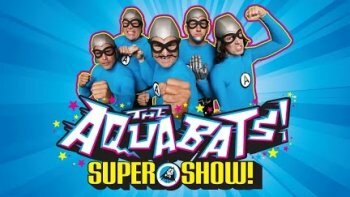 A couple of weeks ago we told you about how The Aquabats have a Kickstarter campaign to help pay for a revival of The Aquabats Super Show. We’re a little more than half-way through the campaign, and the Aquabats are a little less than half-way to their 1.1 million dollar goal. You can read all about the campaign, see the first part of a new adventure, and find links so you can donate HERE. But tonight we’re going to bring you a special treat. The Aquabats have been serializing the exploits of their quest in a series of Kickstarter Updates. To date there have been five entries (counting the first chapter, which you can see in the above link). This is almost like an extra-long episode of The Aquabats Super Show, being doled out in bite-sized chunks every two or three days. Below, we’re going to bring you up to date. You might want to go back and see the first chapter in that link I posted, first. We’ll bring you more chapters as they appear online.